Valley Heating Oil is the premier choice for all things heating in Seymour, Orange, Bethany, Ansonia, Oxford, Derby, Naugatuck, Beacon Falls, Woodbridge, Prospect & Bethany. Need Heating Services from a Trusted Provider? Looking for a trusted, local heating fuel oil company? Cash or Credit? No problem! Our price is our price, no matter how you pay. Fuel Oil pricing doesn’t need to be complicated or confusing. We deliver the highest quality, ultra-low sulfur fuel to customers Seymour, Oxford, Derby, Ansonia, Orange, Naugatuck, and Beacon Falls at the most competitive price. Our oil price isn’t contigent on how you pay. 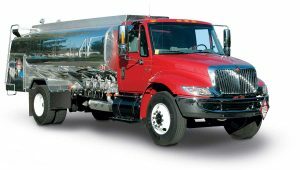 We deliver the same fuel from high priced competitors at discount prices. Learn more about the Valley Heating Oil promise. Learn Why Valley Heating Oil is the best! Valley Discount Oil is now Valley Heating Oil. We’ve upgraded our service offerings to better serve our customers. While we still offer heating oil at discount prices to customers in Seymour, Naugatuck, Oxford, and other surrounding towns like Derby and Ansonia, we now offer complete fuel oil programs like price protection and fixed price contracts. Learn more. Water heater services available to customers 24-hours a day, seven days a week, 365 days a year. Valley Heating Oil isn’t just a familiar discount oil company anymore. We install, maintain, and repair most types of water heaters for customers in our network. 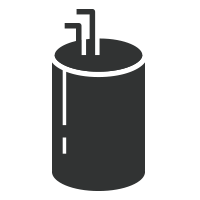 If your oil-fired water heater is nearing the end of it’s useful life, an upgrade can save you money in the long run. Learn more by becoming a valued customer of Valley Heating Oil today. Once we were a simple discount oil company. Since we’ve grown over the past few years, we’ve been able to expand our discounts because of our increased buying power. We can offer a cheaper oil price to people who’ve served in our military, people who have income based challenges, and to our senior citizens. We’re a good oil company run by good people. We like to give back to our communities. One of the ways we do that is by offering discount oil prices to everyone, and extending our savings to people who deserve a break. We proudly support Seymour Pink with every delivery.